What Can Be Done To Prevent Fraudulent Supply Chains? Food fraud is a big topic at the moment and there are multiple challenges within any supply chain, especially these days where supply chains are global, have multiple players and where profits can be huge. 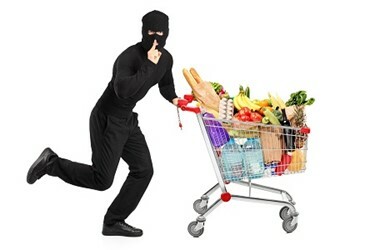 In this column, I will detail some of the major obstacles in the organic food supply chain and show some practical applications which can reduce fraud within it. It seems every day the press report on one scandal or another — from fish to meat, from spices to soy beans, from coconut milk to wine — and that someone is always trying to cheat the system. In the food industry, it goes without saying there are bad players out there. The fraudsters are becoming more technical and the business becomes more lucrative as consumers want specific provenance or certifications. Take the organic sector as an example. Chris Elliott, an expert in this field, stated in The Grocer, UK, 21 March, 2018, the organic sector is highly vulnerable to fraud and science, so far, has no reliable ways of detecting fraud in organic foods. This means, currently, we are unable to test product and know that the product is organic vs. conventional. He does finish with the statement that science is working hard to ensure that this is possible in future. Many groups are doing work to address the issue of organic fraud with the Organic Trade Associations setting up a Global Organic Supply Chain Task Force. However, for nearly all food-producing companies, the best place to start is in your own business, gaining confidence, understanding, and strengthening your supply chain. The risk for any brand is just that: your brand and its reputation. So ensuring that fraud has no part in your supply chain and responding to it if ever discovered, is key.